I could not wait to share another favourite family lifestyle session that I have been able to have the honour of photographing. 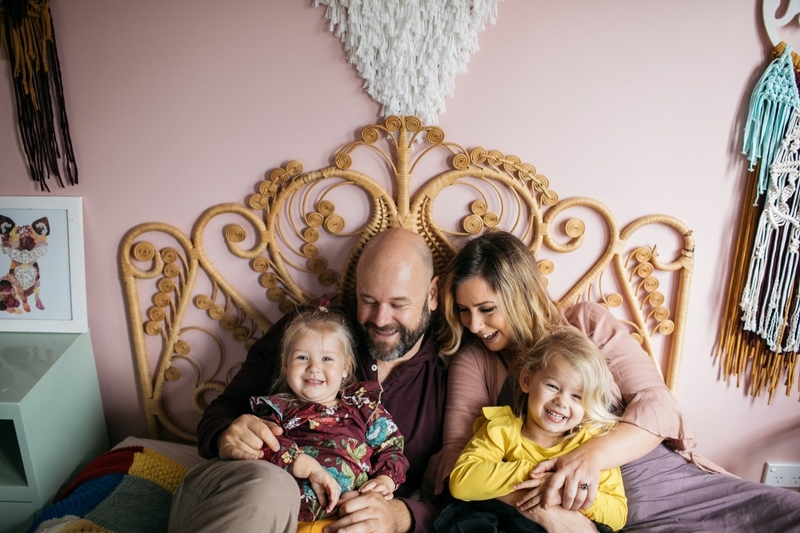 When being asked to photograph two talented, connected and artistic individuals, Kelly & Dan with their girls, Satori & Ruby, I was instantly beside myself in excitement. It was such a fun, colourful, lighthearted, engaging and happy adventure and so heartwarming to have the chance to see them again. Ruby was only a week old the last time we met, my how time goes quickly. Laughter. Icecream. Emotive connections. Gift giving. Book reading. Guitar playing and practice. Daddy & daughter jam session. One on one moments of togetherness. Family snuggles and a sleepy baby. Let me take you on their journey! If you love lazy sunday afternoons with the family, love free live tunes of acoustic music from a really awesome guy, you can find Dan and his band “Venetia’s Porch” at Corrimal Leagues Club on the 25th June 2017 @ 2pm – 6pm. You can also follow him on Facebook Venetia’s Porch His tunes are worth seeing and setting some time aside for relaxation. Kelly has the eye for detail. Styling her home from the heart, your probably wondering where on earth can I get myself some of these beautiful handmade wall hangings to add a creative touch to your favourite rooms. Kelly (awesome, talented, creative beautiful mum above) is ALSO part owner of this gorgeous handmade, home decor business called “Dreams & Seams”. She is a natural born artist, weaving her magic with her business partner Sian, creating masterpieces with macrome. You’ll find them having a ball together, creating timeless pieces for you to enjoy and having fun doing it. When all that joy is filled into the purchase you make, I am certain you feel it. You will find Kelly & Sian at Killalea State Park & Bulli Farmers Markets, around the Illawarra and also online here: Dreams & Seams You can see samples in the images below. Im in love with the personalised coloured dreamcatchers above the girls beds and her white whimsical dreamer in the main bedroom. Seriously more amazing in person, but a sneak peek here that I have just got to share more of! ” Thank you Kelly & Dan from the bottom of my heart for having me photograph another milestone in your lives. Meeting this beautiful family was a blessing. There was a buzzing joy that overcome me when turning up to their cozy, lived in, warm and inviting home. Although we hadn’t met, their presence felt familiar as our communication has started well before the session, as I love to do. It was so lovely to get to know them before that day with the excitement pending the arrival of our session. The day was finally here and with open hearts, chosen props personal to them, we got creating and documenting this amazing milestones in their lives. It is an indescribable feeling witnessing a family who is welcoming a new little love into their hearts and homes. The miracle of having bringing that little one home and making little girls big sisters and arms full and busy. Stevie had a vision of a beautiful milk bath to celebrate this little one. This was a beautiful time to be still, connect with her little one and breathe. We were able to chat candidly, laugh, share stories about motherhood and talk about the journey ahead of the birth she had hoped for (which she received !! ). There is nothing quite like creating moments within the session that hold their own sacredness. Just as we had discussed and hoped, little Leo was born on the 6th May, the same number day as their anniversary and big sisters birthday. It was a special day and as naturally and as empowering as she had hoped for Stevie brought this beautiful little man into the world and into loving arms. 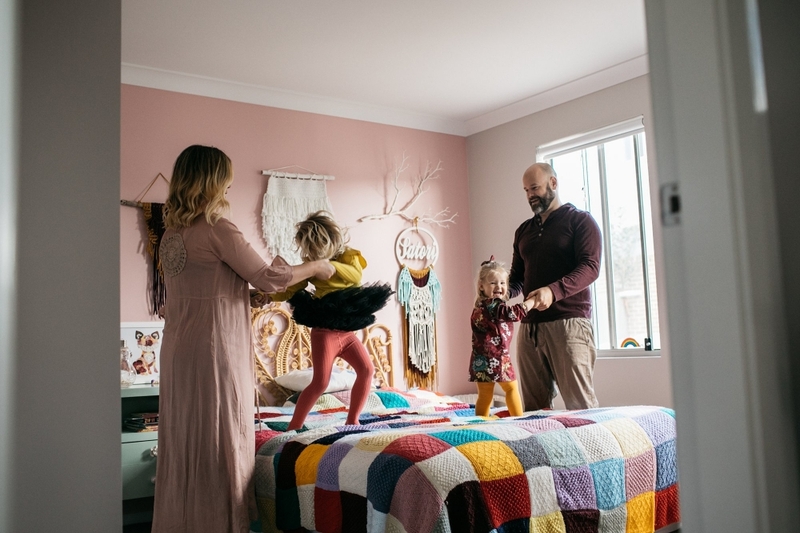 His big sister is tickled pink and what a dream to capture this moment, in their home where Hazel felt safe and relaxed to be herself and dote on her brother. He was more than smothered this day and I have no doubt, he is still being loved on as much as that first day. There is an inner warrior strength that comes from preparing, anticipating and enduring birth. A learning about your own ability to breathe through what life gives you, whether it was what you expected or quite the opposite, it all shapes who you are, the scars that become your own which you wear with your own unique stamp. Something to be proud of, to stand tall and own every bit of your story. Shari & Cory, from the moment I met them with their calm and connected nature, there was that inner buzz of anticipation swirling around them. Like a butterfly about to transform, they choose to huddle together and weather the gift that awaits with open hearts and open arms. Every detail planned was thought out with sentimental value that they hold dear. Its ritual of welcoming in that little one, pouring in the love and attention with style and taste. Shari, a beautiful and amazing woman in her own right, owner of Belle Demeuere Interiors selling all things unique, luxurious and elegant, has decorated her nursery and home with an abundance of heart for their little one. Please feel free to click on her link to view her collection which includes her elegant headboard and gorgeous white cane chair duo. Lifestyle Photography has easily become my connection to where my inspiration and love for photography is growing and it was a pleasure to be able to express the emotions of this beautiful family before life as they knew it changed, forever through my lens. And then there was….. Everly. She swiftly entered the world, joining this beautiful couple as if she had always been there. Three hearts beating as one and a thread of unconditional love joining them in one full swoop. Her beauty captivating, her soulful eyes and assurance that “she’s got this” was all part of her grand entrance. And into full open arms she was welcomed, adored, treasured and loved on. Over and over and over. All captured for her to know, in the deepest part of her heart, that it was real, present and surrounding her from her very first day. Welcome to the world Everly. May your grand entrance be the start of many new beginnings, adventures of following your own heart for the direction in your life you need. You are such a blessing and it was so incredibly wonderful to meet you! In the midst of heartache and of longing, a love so deep made its way through earthly bounds and a little rainbow was born. Lexi Raine made her way earthside to spread growth of HOPE from the tears that fell into soil. Tears where love had grown for her big brother, Byron. 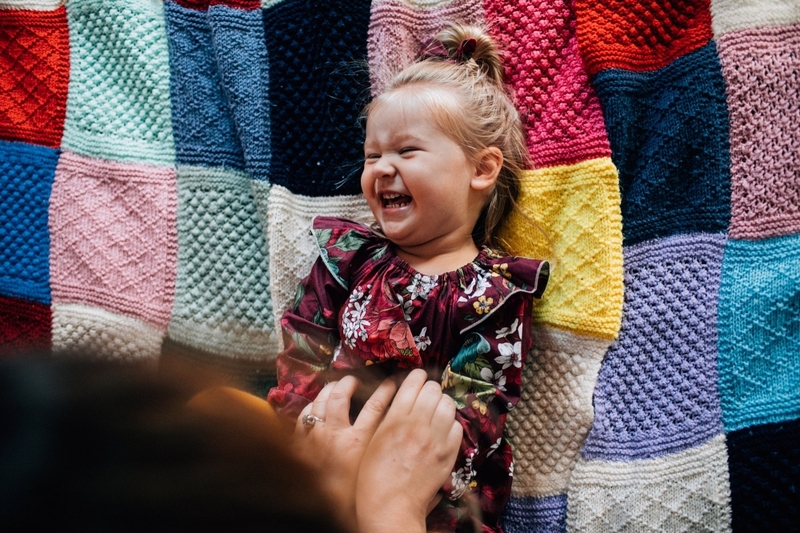 With a parents love who has known loss in this way, holds onto those moments with tender and delicate care, it was important for us to honour Byron in our session, as much as it was to celebrate Lexi. To heal in a gentle way, to acknowledge and speak his name is so very powerful and I am so honoured to be able to do so. Through Heartfelt, a dedicated organisation who provides photographic memories of babies that are born too soon, the gift of meeting little Byron was dear to my heart. There is an unexplainable pull to put all else aside and be present in service for families in need and it has been the most heartbreaking and yet most rewarding part of my career. From here, I met this amazing family and soon a bond was formed. An invisible thread that connects hearts to hearts and to children that are longed for and loved so unconditionally. As for Miss Lexi, a blessing and a miracle she most certainly is! To witness such connection, the way she locked eyes and soul with her parents (and the camera) was by far breathtaking. The undeniable bond between them all left my heart stopping for a moment as we celebrated her new life in her newborn lifestyle session combining the memories of her brother into what is sentimental by heart. This moment and day also a point of connection for HER as she grows in her life and looks back over the photos of her first days, being shown so much love, adoration and a truth that she has a special someone watching over her. Welcome to the world Lexi Raine, how you are so loved! I am so excited to announce our first Summer Mini Sessions to celebrate the end of 2016 and welcome in a fresh New Year of 2017. Holiday spirit is in the air, school is almost over and its time to connect as a family, leave the mundane tasks to rest and to get out amongst the sunshine and nature to breathe, find peace and bring on some good old family fun! Are you wanting quality time with your family? Wish to create new memories and update your family portraits at the same time? Then our Summer Mini Sessions are for YOU. Weekday and weekend dates available. To book a session, fill out our contact form on this website or email me at nicole@hushphotography.com.au. You will receive an invoice for $495 for payment to secure your session. Once payment has been received; you will be sent an online welcome email including an information guide with visual inspiration, tips & tricks for a smooth session. Payment plans are available, please just ask! Let’s make this summer one with treasured memories to look back on fondly for years to come! *set locations chosen are in the northern suburbs of Wollongong.